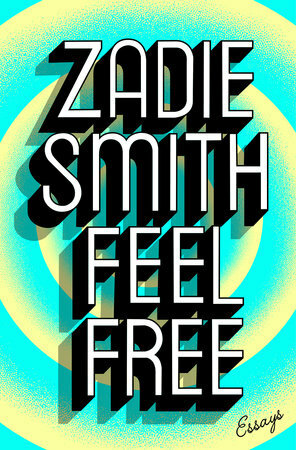 Winner of the 2019 National Book Critics Circle Award for Criticism, a new collection of essays from Zadie Smith focusing on literature, art, film, politics, and cultural criticism. For Smith, anything is a potential text that she can subject to her talent for keen observation. She homes in on her subject’s most minute details, unspooling layers of meaning in a way that perhaps only a literary critic can do ... Feel Free’s chief (if unstated) concern is that the kind of intellectual rigidity that lacks interest in aesthetic detail translates easily into intolerance and disregard for human complexity ... Her call to dwell in ambiguity assumes a certain kind of individual: one with the luxury of detaching herself from the world’s flux in order to better observe its dynamics ... These essays occasionally leave one wishing she’d consider these hindrances. How do poverty, racism, misogyny, and homophobia structure our thought? How can we work around them, if at all? The point is that not all of us can, from our current vantage point, feel free. But perhaps our limitations are exactly why Feel Free is an important contribution to contemporary conversations around culture and identity ... That a black woman is insisting on casting her eye upon whatever she wants in itself represents defiance, a reckless eyeballing that was once unavailable to black people. More importantly, though, Feel Free reminds us that freedom isn’t something to be foisted upon or taken away from us by whoever happens to hold the reins of power; it is something that we can and must take on our own. Selfhood—other people’s—is what she returns to again and again, through what else but her own shifting and brilliant subjectivity ... The subtlest joy of these essays is sensing Smith’s own personhood, a personhood inseparable from her intellectual life. The self encompasses both. 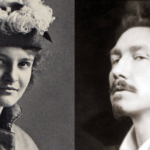 After the bracing dynamics of so much thought, the essays in Feel Free leave the reader not with a succinct theory of metaphysical dialogue between a global pop phenomenon and twentieth-century philosopher, but rather an image: the endearing, enduring image of one of our finest public intellectuals bickering with her husband, in a car, as she hankers for a sausage roll. ...like a brisk day on the cross-country trails. She writes a good deal about art and gardens and travel, and about non-controversial — at least for her New York Review of Books readers — topics like libraries (good) and global warming (bad). In the best of these pieces, however, Smith presses down hard as a cultural critic, and the rewards are outsize ... For six months, Smith was a book critic for Harper’s Magazine, and the results are printed here. These reviews are a mixed bag, mostly because the titles seem random and often infra dig. She’s penetrative, however, on the Mitfords and Edward St. Aubyn and Paula Fox and the essayist Geoff Dyer. What did you think of Feel Free?